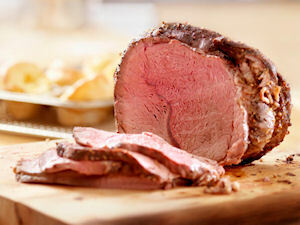 A rustic, country inspired roast that is earthy and delicious. A few simple ingredients are combined and simmered over a very low heat until the beef is tender and falling apart. This delicious roast pairs perfectly with roasted potatoes or coleslaw. Place roast in a heavy saucepan or dutch oven. Cover with onion and tomato. Pour chicken broth over roast. Sprinkle with salt and pepper. Cover and simmer over low heat for 4-5 hours, adding more water if necessary. Amazing. 4-5 hours at what temperature?